Leslie joined the staff of the Texas Land Title Association over 36 years ago and has been involved in every aspect of the association since that time. Since 2001, she has been at the helm, serving as Executive Vice President and CEO, the chief paid position of the 2,500+ member organization. Prior to that, as Administrative Director and then Vice President of Operations, she was responsible for managing the association's day-to-day operations, supervising the TLTA staff and overseeing all programs and services. Leslie has a bachelor's degree in Human Resource Management from St. Edward's University in Austin. In 1999, she successfully completed the Certified Association Executive (CAE) program through the American Society of Association Executives of which she is also a member. She served for a number of years on the Board of Directors of the Texas Society of Association Executives and was Chairman of the Board of that organization in 2005-2006. 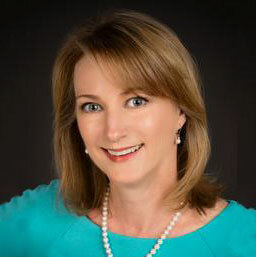 She has been honored by both the title and association industries with the following awards: Texas Land Title Association President's Award (2002, 2016) and Texas Society of Association Executives Distinguished Executive Award (2013), Chairman's Award (2007), Professional Excellence Award (1990) and Making a Difference Community Service Award (2016). Additionally, she has been very involved as a volunteer with the Alzheimer's Association, Central Texas Chapter, and served on their Board of Directors from 1997-2004, was Board President in 1998-1999, and received the Jack C. Kern Award for Special Service in 1998. She has also been an active member of Impact Austin, a philanthropic organization that awards financial grants to Austin area non-profits. Leslie is a member of the Board of Directors of the Girl Scouts of Central Texas and served as that organization's President and Board Chair in 2016-17.